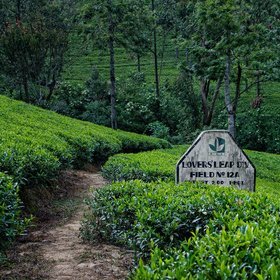 Tea Plantations, Little England, Racetrack, Nabila, Kushi, Scotch Whisky, Gregory’s Lake. Welcome to Sri Lanka! You are greeted at the airport and taken by road to the north to Kalpitiya, on the tip of the peninsula of Puttalam. On the road, the salt marshes give way to vast stretches of swaying coconut trees. Accommodation at the hotel. Get to know your horse and your horse guide. Go for your first ride on the beach until Thalavilla and the Little Church of St. Anne, passing through fishing villages. To finish the day in style, share your first sunset in Sri Lanka with your new traveling companion! After an early breakfast, go for your second horse ride on the beach. With the Indian Ocean on the left and the bay on your right, go towards the end of the peninsula to an old Dutch Fort. After a picnic, return to the hotel. Between November and April, enjoy a Cruise and watch Dolphins and Whales! Unless you prefer to ride the wave with a surf-board or simply enjoy the pleasures of the beach! After breakfast, go to Dambulla where your horses are housed. On the road, visit Anuradhapura, the ancient capital where multitude of temples, palaces and dagobas are all witnesses to its glorious past. The remnants continue to live with the presence of temples and continual ballet of Buddhist pilgrims who come to pray in the shade of the Sri Maha Bodhi , the sacred tree revered for over two millennia. Arrival at Dambulla and transfer to hotel. This morning in Kandalama find your horse, your guide and grooms. 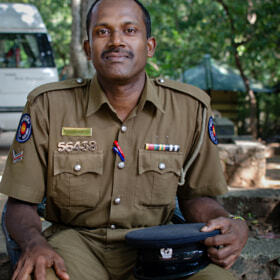 The program includes a hike around Lake Kaludiya Pokuna, accompanied by birds and butterflies. Near the sacred hill of Mihintale, you will find ruins and a "Black Water" pool in the jungle. Remember that Buddhist monks meditate there. In the afternoon, climb the famous fortress of Sigiriya . Halfway up, greet the immortal " Demoiselles " painted on the walls of the rock before reaching the top where you can enjoy a great view . During your ride in the morning, get seduced by picturesque villages, Banana Plantations and Vegetable Gardens! You complete your foray into the cultural triangle by trotting near the foot of the fortress of Sigiriya! Before leaving Dambulla, visit the Temple of the Rock where caves house an impressive collection of Buddha statues and outstanding colorful frescoes, describing the major stages of the life of the Enlightened One. After a last look at the Golden Buddha overlooking the temple, take the road towards the south and make a stop at a spice garden. An excellent opportunity to deepen your knowledge of therapeutic or cosmetic virtues! On arrival in Kandy, check in to the hotel. Today you have the choice between road and rail to go to the Pinnawela Elephant Orphanage that houses a few hundred residents. View, swim and play together in the river, which is a real treat! In the afternoon, wander around the nooks and crannies of the Botanical Garden of Peradeniya, where the collection of trees, plants and flowers will impress you. By late afternoon, enjoy the ceremony on your visit to Sri Dalada Maligawa, which contains the famous tooth relic of Lord Buddha. In the morning, you go towards Nuwara Eliya, drowned in Tea Plantations. Check in to the hotel after a panoramic tour of the city, which had seen many British settlers owing to its mild climate. They left such an impression that the city is nicknamed "Little England"! Accommodation at the hotel. You are immediately immersed in the atmosphere of this “British" city where you have lunch at the golf club before joining the Racetrack! This is where you go with your horse, Nabila, Kushi or Scotch Whisky. And it is with them that you ride on small roads winding through tea plantations before crossing the Gregory’s Lake. After breakfast, go for another walk in the tea plantations. Mahagastota, Pattipola. Many names of mysterious villages whose charms are revealed during the hike. Let yourself be seduced by the beauty of these carved quite unconsciously by the pioneers of tea landscapes! In the afternoon, take the train to Ella, one of the most beautiful courses on the island! Accommodation at the hotel. Take the time to enjoy the heart of the mountains. If you like to walk and not trek, then the walk to the Adam’s Peak in the middle of tea plantations is completely inappropriate! If you are a confirmed sports enthusiast, why not try the ascent of the Ella Rock where the view is breathtaking! After breathing the fresh air in the morning, head south to Tissamaharama. On the road, stop at Buruduwagala to visit the famous Buddhas Carved into the rock and Kataragama, a holy place for Buddhists, Muslims and Hindus as evidenced by temples and mosques together on the same site . Accommodation at the hotel. After breakfast, hop on to your saddle and visit Tissamaharama Wewa, the centerpiece being a huge artificial lake dug in Sri Lanka in the third century BC to irrigate crops. Your ride will be accompanied by a multitude of birds, crossing the surrounding rice fields in what is colloquially called "Tissa", the ancient capital of the Sinhalese kingdom of Ruhuna. In the afternoon, you can swap your mount for a jeep and go on a safari in the Yala National Park, one of the largest natural reserves in the country that hosts diverse fauna, including leopards! Share the excitement of a final walk with your traveling companion in a beautiful flat landscape dotted with village! As the Yala Nature Reserve is so close, it is not unusual to see peacocks, deer and fox! After a final gallop and a goodbye hug to the neck of Sultan, Anjali or Saroj, you will reach Galle on the south- western tip. Drive along the south coast with its myriad lush beaches! Accommodation at the hotel. Allow yourself to be carried away by the charm of the narrow streets of the walled city and the incredible sunset! Transfer to Colombo international airport according to your flight schedule. End of our services. You hit the road towards the centre of the island to reach the heart of the Cultural Triangle in Sigiriya. Check-in and night in the hotel. Climb the Ancient Fortress of Sigiriya, with its magnificent views over the surrounding countryside (there is also the possibility of renting bikes to travel around the surrounding countryside). It is also famous for its Frescoes (Buddhist stone wall art), such as the frescoes of the Demoiselles, beautiful depictions of goddesses and princesses. Then visit Polonnaruwa (30min drive). Back to your Hotel in Sigiriya and overnight stay. You are heading south. En route you stop at Dambulla to visit the Caves and admire the Paintings of Buddha and countless Statues. The oldest cave dated 1st century BC Continue to Matale, where you’ll see the spice gardens. Arrival in Kandy. Overnight at the hotel. Morning visit the beautiful Botanical Gardens of Peradeniya. This garden is a great opportunity to ride. Then you continue to Pinnawela Elephant Orphanage and undoubtedly the most appropriate place in the country to be in contact with the Pachyderms. This journey is possible by train to Rambukkana and drive up Pinnawela. End of the day is free for you to roam around Kandy. You go by to the train station in Peradeniya and take a train to Hatton (subject of availability). During the trip you can enjoy the view of the Kotamale Reservoir. In the train station in Hatton you meet your driver and you go to Dalhousie. Check in the hotel and night. At 2:30 AM you start your climb to Adam’s Peak. You arrive at the top of the mountain in the morning, just in time to watch the sunrise and you go back in the morning. Road towards the South to reach the highest town in Sri Lanka, Nuwara Eliya. Visit of the city, the Hakgala Garden, the Seetha Amman Temple. Check in the hotel and well deserved rest. 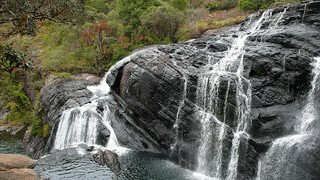 Excursion to Horton Plains National Park, which houses the two tallest peaks in the country, the Kirigalpotta (2 395m) and Totapola (2 359m). Then you go to World’s End an enormous plateau which plunges 880m and offers the most spectacular of views. Back in the afternoon to Nuwara Eliya. Visit the city’s many gardens among which Hakgala and the Temple of Seetha Amman. Overnight stay at hotel. Check out from hotel after breakfast and drop off at Colombo international airport. Your driver will advise you on visits. He is available throughout the day (7:00 a.m. to 6:00 p.m.). Please note that it is important to follow the itinerary. Any change in the route must be discussed with your travel advisor and will generate an additional cost. Welcome to Sri Lanka. Your chauffeur will drive you north to the peninsula of Kalpitiya. If your flight lands in the morning, make time to visit Negombo to watch the return of the fishermen in their Traditional Dugout Canoes and stroll in the famous Fish Market. As soon as you get closer to Puttalam, vast Coconut Trees Plantations give way to salt marshes. You drive along the lagoon up to Kalpitiya, the farthest point of the peninsula. Check into your hotel and relax! Enjoy the beach! If lazing on the beach is not your "cup of tea". You can try Kite Surfing (From April to September)! Or hop on a boat to see Dolphins and Blue Whales (from December to April). Unless you prefer Snorkeling by the corals ! You start the day by a Jeep safari in the Wilpattu National Park, which was reopened to visitors in 2011. This safari will take you through the tropical forest and lakes. (Willu Pattu means "land of lakes" in Sinhalese language). After this getaway in the wilds and close encounter with wildlife you continue north towards Anuradhapura. Check into your hotel. Enjoy the beautiful lights reflecting on the Stupas and Temples as the sun sets while walking or cycling through the ancient city. Today you’ll rise early with the sun and watch the sunset on the Jaffna Peninsula! Enjoy this long journey that will take you through the thousand and one details that punctuate the everyday life of Sri Lankan cities and countryside! Stop for some nice snaps at the Elephant Pass, the isthmus which connects the Jaffna peninsula to the rest of the island. Check into your hotel. In the evening, you will attend the evening ceremony at Nallur Kovil Temple and then stroll in the bustling night market. Quite something!! After breakfast, you will visit the Jaffna Town: the Fort, the fishermen village and its colorful houses, the ruins of the Sankili Palace, the famous library and the Archaeological Museum. In the afternoon, go to Point Pedro, the farthest northern tip of Sri Lanka. This trip will give you the opportunity to experience local life while and discover unknown treasures. You start the day by the visit of the Dambakola Patuna Temple, erected beside the Indian Ocean and close by the place where the Nun Sanghamitta disembarked from North India. She was then carrying a seedling of the sacred Bo Tree under which Buddha was enlightened in India. 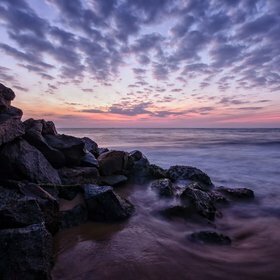 You continue your drive along the north coast until you reach Naguleswaram. Visit the temple dedicated to Lord Shiva and then take a walk on the shore to see the renowned holy pond filled with healing waters. In the afternoon, you board a domestic aircraft from the Palaly airport that will fly you to Colombo. Transfer to the international airport three hours before your flight departure. End of our services. Welcome to Sri Lanka ! You are greeted at the airport and head towards Colombo , the commercial capital of Sri Lanka. Depending on your arrival time, you can visit the Fort area and its beautiful Colonial Buildings , the vibrant Pettah Bazaar, Gangarama Temple, Cinnamon Gardens, and the upscale neighborhood with beautiful homes nestled in the parks. Accommodation at the hotel. In the late afternoon stroll on the Galle promenade besides the ocean where Sri Lankans flock in the evening at sunset! In the morning, you go towards the central north of the island to the famous Cultural Triangle . Accommodation at the hotel. In the afternoon, visit the fortress of Sigiriya, a UNESCO World Heritage Site. Get ready to climb a few flights of stairs to the top, where you can enjoy a stunning view of the sunken gardens and the surrounding countryside. The famous " Demoiselles " painted on the wall of the rock have lost none of their magnificence even if the mystery of their identity remains. Take the road to Polonnaruwa , stopping at Habarana Tank , surrounded by the forest and dug in the twelfth century to irrigate crops . You can visit Polonnaruwa wooded walk or travel by bike from the well-preserved remains of the former royal capital . In the afternoon , you can go on a safari in Minneriya National Park . Each year , the reserve is the scene of a large gathering of elephants in August and September , the time when huge herds can be seen on the lake . Head to the northern tip of the Cultural Triangle towards Anuradhapura listed on the World Heritage List of UNESCO. On foot or by bicycle , find the remains that are all witnesses of the history of this ancient capital, ever bustling with activity and temples. Do not miss the Sri Maha Bodhi , a plant from the sacred 2500 year old tree under which in North India , Buddha became enlightened. Arm yourself with courage and climb the thousand steps that lead you to the top of the sacred hill of Mihintale. Enjoy a superb panorama. In the month of Poson, Buddhists make their pilgrimage to Anuradhapura and Mihintale during the full moon of June. This festival is celebrated with fervor. Pilgrims come from all over the island to the historical site of the introduction of Buddhism in Sri Lanka. Begin your descent to the heart of the island. Accompanied by monkeys just hanging out, visit the Dambulla Rock Temple with five caves containing an impressive collection of Buddha statues in the orange colored frescoes representing the key stages of his life. Continue to Matale where culture is king of spices. A visit to a garden is the perfect opportunity to uncover the secrets of aloe vera, cinnamon or vanilla. Arrive in the afternoon in Kandy. Accommodation at the hotel . Discover the sacred city of the Buddhists strolling around the lake, while walking through the market before the evening ceremony at the Temple of the Tooth. The faithful flock to collect, deposit offerings and light oil lamps.The Esala Perahera is an annual Buddhist festival of ten days that occurs during the full moon of the Sinhalese month of Esala (August). An elephant procession takes place every evening for the duration of the event. Morning transfer to Peradeniya Railway Station and travel by train to Rambukkana (subject to availability) then by car to the Pinawela Elephant Orphanage. In the afternoon, visit the beautiful Botanical Gardens of Peradeniya. Then the end of day is left free for you to explore Kandy. 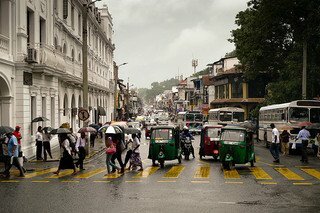 Visit Kandy, the last capital of the Sinhalese Kingdom. Walk and stroll through the bustling market and explore the rest of the city. By the lake which the city is built around you will see the Temple of the Tooth, which contains the most important Buddhist relic of the country, a tooth of Lord Buddha. Then in the evening, head south to reach the highest town in Sri Lanka, Nuwara Eliya. Check in and overnight stay at hotel. Excursion to Horton Plains National Park, which houses the two tallest peaks in the country, the Kirigalpotta (2 395m) and Totapola (2 359m). Then you go to World’s End an enormous plateau which plunges 880m and offers the most spectacular of views. Back in the afternoon to Nuwara Eliya. Visit the city’s many gardens and the Temple of Hakgala Seetha Amman. Overnight stay at hotel. Travel by road to Negombo. Relax at the hotel, then airport transfer. End of our services. Check in and overnight stay at hotel. You go to the centre of the island to visit Sigiriya Rock. Check into your hotel, and then visit the village that surrounds Sigiriya. Back to the hotel and overnight stay. Climb the ancient fortress of Sigiriya, with magnificent views over the surrounding area (there is the possibility of renting bikes to travel around the surrounding countryside). It is also famous for its frescoes (Buddhist Stone Wall Art), such as the frescoes of the Demoiselles, beautiful depictions of goddesses and princesses. Then visit Polonnaruwa (30min drive). Back to Hotel Sigiriya and overnight stay. You go north towards Anuradhapura, the Ancient Royal City. Discover on foot the temples and Dagobas of the Royal Palaces. Next you visit the nearby village of Mihintale considered the starting point of Buddhism on the island. Back to Hotel Sigiriya and overnight stay. Going south. En route you stop at Dambulla to visit the famous Caves and admire the Paintings of Buddha, dating from the eighteenth century. Continue to Matale, where you will see the Spice Gardens. Proceed to Kandy, where you arrive in the evening. Check in and overnight stay at hotel. In the morning, transfer to Peradeniya train station and catch a train to Rambukkana (subject to availability), then by road to the Pinawela Elephant Orphanage. In the afternoon, visit the beautiful Botanical Gardens of Peradeniya. The end of day is left free for you to roam around Kandy. Early morning visit to a tea plantation near Nuwara Eliya for a tasting session. Proceed south, arriving at Uda Walawe National Park, one of the most beautiful in Sri Lanka and similar to an African safari. Safari in the afternoon to view the Fauna and Flora. Check in and overnight stay at the hotel or camp. Road trip to the southern capital of Galle. The World Heritage Dutch Fort looms large. Inside Dutch colonial architecture stands side by side with energetic Muslim life and buildings. Superb restaurants, museums and galleries are everywhere. Road trip to Negombo. Train travel, which is quicker, is optional. Relax at the hotel then airport transfer. End of our services.